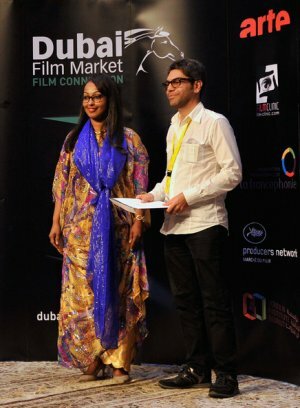 Director Michel Kammoun received the OIF award (5000€) during the Dubai Film Connection award ceremony for his upcoming movie Beirut Hold'em. Beirut Hold'em is the story of Ziko a 40-year old ex-con who is released from prison and wants to restart his life. Driven by a relentless will to succeed, Ziko sets out on a journey through contemporary post-war Lebanese society, a place made of a strange mixture of violence, tenderness, lightness of being and tension.